I had just returned from New York City and I was going through my images. I definitely recognized myself in those words. Yes, that is me, for sure. 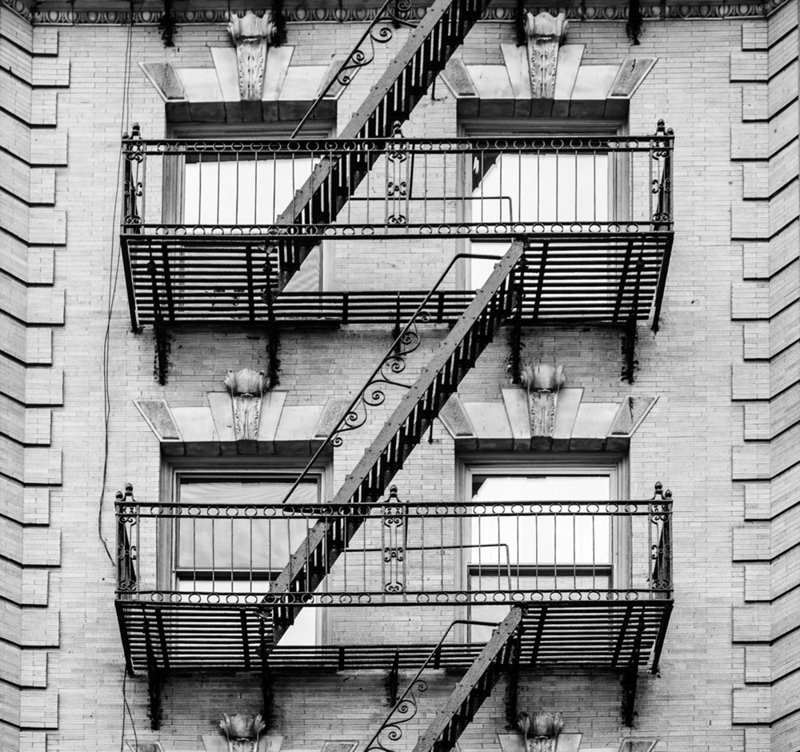 When I look at my gallery called New York City in Black and White, which contains images from more than one trip, I see that I am drawn to arches, windows, reflections, symmetrical and geometrical architectural shapes, buskers, young lovers, and silhouettes and shadows, just as a few examples. I am also fascinated by the contrasts between old and new and the built and natural environment. But even as I tend to return to the same preoccupations with my photography, either consciously or unconsciously, I find that something has changed in the way I see. More and more I am struck by a “flash of perception” that hits me fast and furiously and it is a distinct frisson of excitement that compels me to turn my camera in a certain direction. Something I see feels fresh and new to me. Most of my very favourite images have come about this way. I’ve noticed too that my memories associated with where I was and how I was feeling when I made these photos are much sharper and longer lasting than when I was merely documenting a scene, or even recording a nice memory. The image can bring me right back to the time it was taken with all the details intact. I know that less and less I want my photography to be about looking at the world and saying to myself: Ah, that’s interesting or beautiful, I should take a picture of that. It is the times when I am “taken by a picture” — even if I don’t quite know why — which always mean the most to me. Great work! Can see you are continuing to improve; BRAVO! Thanks so much, Laurie! I have a bit of a split personality — loving nature and the big city. What I haven’t been able to appreciate much yet is suburbs! Beautiful images, Sherry, and great post. 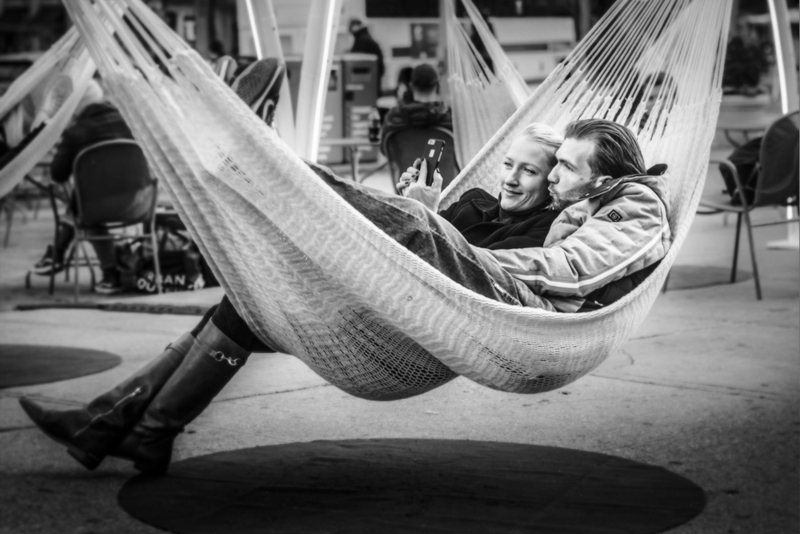 NYC itself does not appeal to me (I’m too much the cityphobe) – but your photos are wonderful! I relate to your description of a place as an old friend Sarah. Yes, that is true. And perhaps I wouldn’t feel the same if I lived there. But then again, I do have good friends that I enjoy seeing regularly too. LOL Who knows? I just feel lucky for having discovered a place that I feel this way about. Always appreciate your comments. Oh Cheryl, you are so generous and kind in your estimation of what I’m trying to do. That you think my passion comes through means so much to me. I hadn’t thought of doing a black and white coffee table book until you mentioned it, but I think you’ve inspired me to try it. I was going to print a few for my walls but I don’t have enough wall space so a book might be the answer. Thanks, sweet one. Thank you dear Debbie! And I’m glad what you in my images see brings back good memories. Definitely, Joe. I knew that from the very first time I saw your images! And thanks, bud! There is no doubt that the city can be intimidating the first few times, Leon. I now have many trips under my belt so I feel much more confident but I can honestly say I have only had good experiences there — indeed some great experiences. New Yorkers have always offered me help finding my way around and this trip I must have looked like one of them because I was being asked directions by other tourists lol. Yes, I think Sarah’s fluttery feeling is what I was meaning too. And I often still share your experience of recognizing it after the fact, as well as before. I didn’t know you loved it as much as I do Lisa! I would love to see your New York images some time. Judging by your other work, I know they would be amazing. Hope you can do that! Thanks for leaving the kind comment. You’re so right RH! A great subject for sure. They’re not the easiest things to photograph but so worth it. And yes, try converting some of your shots — I think they make great black and whites. Talk about timeless. It’s even hard to guess when they were taken. Diane, I’ve actually been there more than 15 times since the 80’s but only recently have I had a good camera and enough knowledge to get shots I actually don’t mind -lol! And it is always a red letter day when I am taken by a picture. I am deeply grateful for your lovely words Diane. Thank you for looking. My question on Flickr has now been answered — you have been there more than once. And, again, I’m so smitten with your images and how you see. You’ve truly summed it up beautifully when you wrote, “It is the times when I am “taken by a picture” …” — yes, those truly do mean the most. Beautiful work Sherry. I mean that in the true sense of the word. Great pictures! New York is awesome, want to go back one day. Just my opinion (and I may be a bit biased! ), but there is no place more wonderful to be with a camera than NYC, as you have so wonderfully shown here, Sherry. I’ve never been to New York City, and just the thought of it scares me to death, to be honest. But your photos could tempt me. I especially love the black and whites, which have such a classic and timeless look and feel to them. The experience you’ve described of taking them, that “frisson of excitement,” reminds me of Sarah Huizenga’s “fluttery feeling.” I wish I were conscious of such a distinctive “knowing” in myself. I get excited about shooting things I think are interesting and/or beautiful, but it’s not until I look at the photos later that I feel a thrill of, “Oh, that was a good one!” It’s always a bit of a surprise when it happens. Your work leaves a lasting impression! I love your vision and the photos. Not having been to NYC in many, many years, you always bring memories to me! Once again I am stuck by the sense of place that you bring to Your New York photo’s. Your work is detailed, sharp and full of passion, especially the black and white photo. Your color photos describe the energy of the city. Your editing, in all your photos, is quite magical. You have found your passion and it reflects back to all of us who view your work. I honestly can see your work in a New York gallery some day soon. As a side note, I love how organized you are. I hope, just for yourself, after reading this post you make a beautiful coffee table book of your favorite black and whites images. A beautiful post. 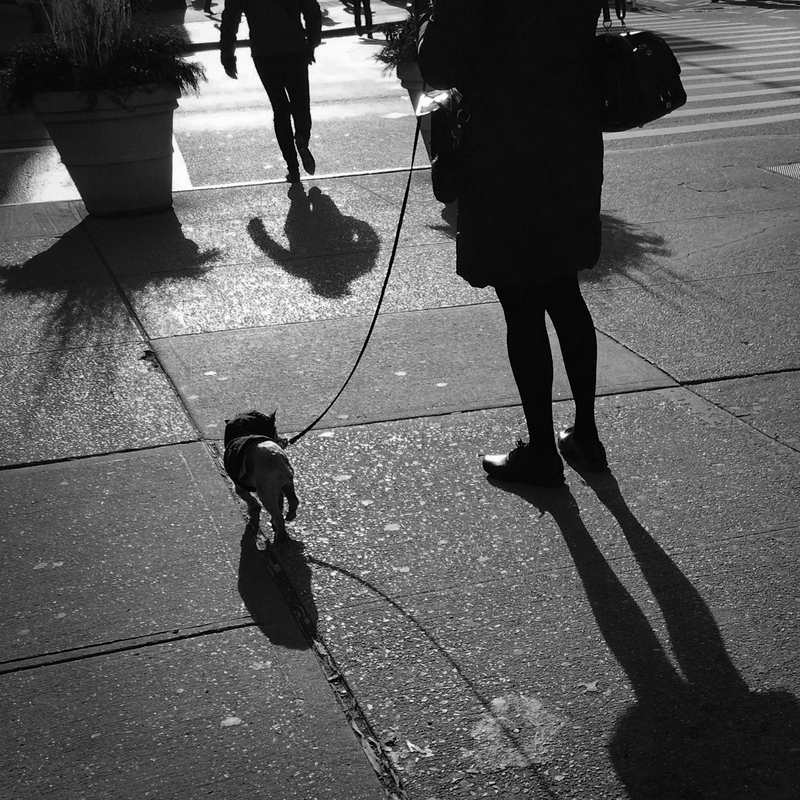 Your photography from New York always shines with your passion for the city, and so fitting for black and white work. I wonder if it would have the same feel if you lived there? Your New York is like my up north, an old friend you can’t wait to see again. “Taken by a picture.” I love that. Great post. I want to see more.